The Research and Development (R&D) department is responsible for creating new assessment and software products. Our staff includes psychologists who perform a variety of scientific, technical, and project management roles, including working with outside authors to create new tests and content. We also perform the psychometric/statistical analyses and prepare the technical publications for our tests. We also have staff focused on data collection, research support, and quality assurance. Finally, we have a software development team that creates all of PAR's desktop and Internet products. As we develop new products, our primary focus remains the same—creating new tests that our Customers will find helpful. At PAR, we are always interested in acquiring new products and/or developing well-designed projects that will meet the needs of our Customers. If you are developing an assessment resource that may be appropriate for PAR, please contact us as early as possible in the development and/or writing process to determine our interest in publishing your instrument and to identify ways we can assist you in shaping your project for greater potential success. A copy of your current vita should be included with any product submission. You also may assist with the development of new products by serving as a data collector. Please be assured that all materials submitted to PAR are considered to be the exclusive property of the author(s) and are accessible only on a need-to-know basis. All reviews are conducted in a confidential manner, and no one else is ever informed that you have submitted materials to PAR for review. We hope that you will consider working with PAR to develop the next generation of psychological assessment materials. Together, we can create connections and change lives. We would like to invite you to be a part of our future. PAR is always interested in ideas for assessment instruments that reflect new research or new perspectives. Psychological assessment is a rapidly changing field, and here at PAR, we want to provide our Customers with the tools they need to support the important work that they do. Throughout our history, we have worked with some of the most respected authors in the field, and now we’re working to help build the next great generation of psychological assessment expertise. 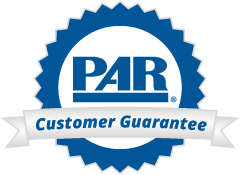 Naturally, technology will be a part of that future, and PAR is evaluating the many ways that advances in technology can be used to improve the usability, flexibility, efficiency, and effectiveness of our products. If you are developing an assessment resource that may be appropriate for PAR, or if you have ideas about enhancements or extensions to current PAR products, please contact us now. We encourage you to get in touch as early as possible in the development process to discuss your product idea or proposal and to identify the ways we can assist you in shaping your project for greater potential success. Authors of testing instruments accepted for publication will receive guidelines for the preparation of files, format, style, and other essential information. To help you prepare your proposal, please see the list of questions below for an outline of what should be addressed in your proposal. The following questions are designed to help you prepare your product submission. Each applicable question should be addressed in your proposal. What are the concepts or theories underlying the development of this test? What demonstrated need does this test serve? What is the structure of the instrument: How many subtests? What does each subtest measure? How many items does the test contain? What types of scores are generated? What is the format of the test: Group or individual administration? Multiple-choice, open-ended, or other types of items? What are the required response modes of the test: Oral, paper-and-pencil, pointing to the correct answer, motoric, computerized, etc.? What is the total estimated time required for administration? What is the proposed scoring procedure? How long will it take to score the test? Describe the proposed normative standard and procedures. How long will it take for the user to obtain normative scores? What reusable components will be required for administering, scoring, and interpreting the test (e.g., test manuals, scoring keys, test plates, booklets, manipulatives)? Describe your vision of the test in terms of page size, number of pages, colors of ink, special forms (e.g., multi-forms, self-carboning, ScanDocs), use of graphic images, photographs, line drawings, other illustrations, etc. What is the target population for the test (i.e., demographic characteristics such as age, gender, etc.)? Who are the potential purchasers and users of this test? What professional disciplines are served by this test? Which settings would be appropriate for use of this test (e.g., schools, private clinics, hospitals, private practice)? What other tests are currently available that serve a similar function? If other similar tests are available, what features would set this test apart from its competitors? Why would an examiner want to use this test instead of other, similar tests? Note: If these studies are yet to be done, provide methodological details of planned studies (i.e., sample size, sampling strategies, sources for the data, statistics to be used, time frame for completion, etc.). Describe how the test items were/will be developed (e.g., item writing, bias panel review, item tryout, and revision of the item pool). Describe the reliability of the test (e.g., internal consistency, alternate forms reliability, interrater reliability, and test-retest reliability/temporal stability) or describe how the reliability will be examined. Describe the validity of the test (e.g., content, construct, and criterion-related validity) or how the validity will be established. Describe the normative comparison groups and the procedures used (or the procedures that will be used) to collect these data. Describe future/other research and development work that should be completed prior to publication of the test. Discuss anticipated completion date, funding needs, and research responsibilities. Describe your idea of the role PAR could play in the remaining research and development.